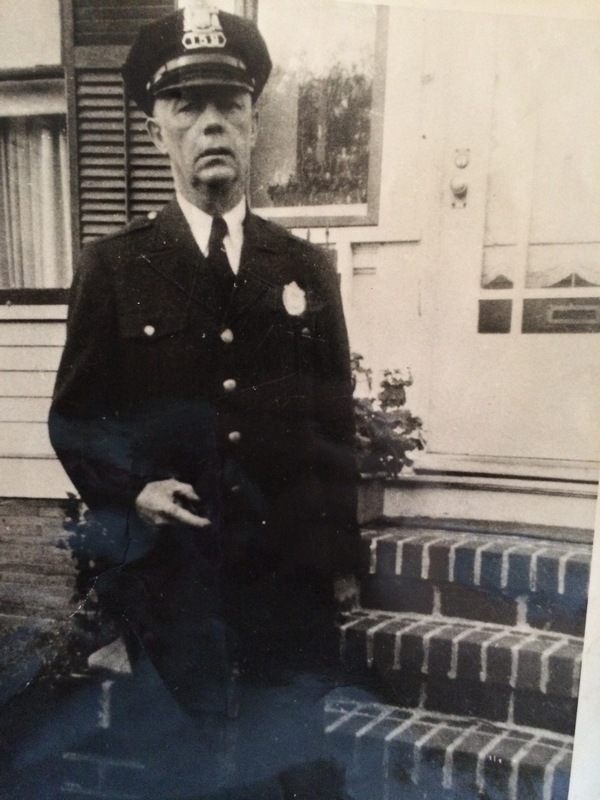 Lawrence Police Officer Frank Daly says he always wondered about his family legend about his Great Grandfather Jeremiah O’Connor dying in the line of duty while serving as a Lawrence Police Officer in the 1950s. Until last week, the official records show only two Lawrence police officers have died in the line of duty in the city’s history. Peter Manning was killed by a drunk driver in the 1950s, and Thomas Duggan Sr. who was beaten with a metal softball bat in 1990. Both names appear on the National Law Enforcement Officers Memorial in Washington D.C.
Now, Jeremiah O’Connor’s name will be submitted to the Memorial to be added to the etched names of Law Enforcement heroes who lost their lives protecting the public. “I knew the history, there was always the family legend, but as families grow apart we kind of just left it at that,” Officer Daly said. “My grandfather died in 1995, so all the lore kind of went with him. Then I was talking to Justin Crow one day (the facilities manager for the police station) and he said he was willing to try and dig up some old records and see what he could find. Crow did look through old archives and boxes at the police station and eventually came across a box containing Jeremiah O’Connor’s photo and employment history showing he had collapsed after a heart attack while arresting a suspect. “When my grandfather became a cop he took over his father’s route and got his badge number. He retired in 1969 as a Lawrence Police Lieutenant. Previously unknown Lawrence Police Officer, Jeremiah O’Connor died in the line of duty November 14, 1950. Above is Lawrence Police Chief Fitzpatrick with O’Connor’s great-grandson, who is ironically a Lawrence Police Officer himself, Frank Daly. Daly comes from a long line of police officers. Not only did his great grandfather die in the line of duty, his grandfather was a Lawrence Police Officer who took (his father) Jeremiah’s badge number 11. Officer Daly says his grandfather was a huge role model for him. “First,” he recalled “I didn’t have residency in the city so I didn’t get on. I took the test again as a resident, but that was when all the layoffs happened. By some miracle a reserve list was created from 2010 to 2014 and I sat on that list till I got on. Asked if he was able to get his grandfather and great-grandfather’s badge number (11) he said Lt. Flemming went on a hunt to find one, but the best they could come up with was badge #111. “Hey, I’m happy with 111,” he said proudly. His great-grandfather Jeremiah O’Connor had three daughters, two of which are still alive. One lives in Methuen, the other in Exeter NH. A third great aunt passed away last week. 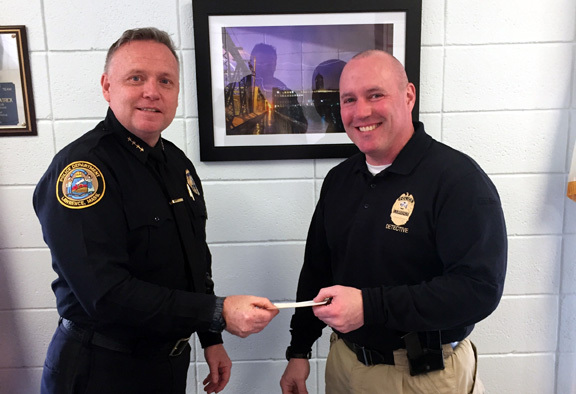 Not only was Lawrence Police Officer Frank Daly’s great grandfather and grandfather both Lawrence Police Officers, his father was also a police officer in Florida before he retired. Daly also had another great aunt who was a cop. Daly’s grandmother’s grandfather (great, great, grandfather) was a police constable in Lawrence in the 1800’s, but he says it would be nearly impossible to find any records on his service. “You see what these guys do on the streets every day and you shake your head at least once a day saying ‘that was amazing.’ When I tell my friends these guys patrol the streets sometimes with 6 guys for the whole city they don’t believe it. But the guys out on the streets handle it better than anywhere I’ve ever seen. Daly and his aunts will be honored at The Valley Patriot’s 13th Anniversary BASH on March 24th at the Firefighter’s Relief In, 1 Market St. in Lawrence at 6pm.